The Prouty Garden at Boston Children’s Hospital. Preservation of a peaceful garden. Warnings about cost and other market consequences. That doesn’t matter. With the blessing of Governor Charlie Baker and the city’s old guard, Boston Children’s Hospital is pushing forward with a controversial $1 billion expansion plan to construct an 11-story building, add 71 new beds, and demolish a beloved oasis called Prouty Garden. Children’s, the top-rated pediatric hospital in the country, is, of course, a great institution. But its prescription for winning state approval also features old-school Boston politics and intrigue, stirred by a dose of intimidation. 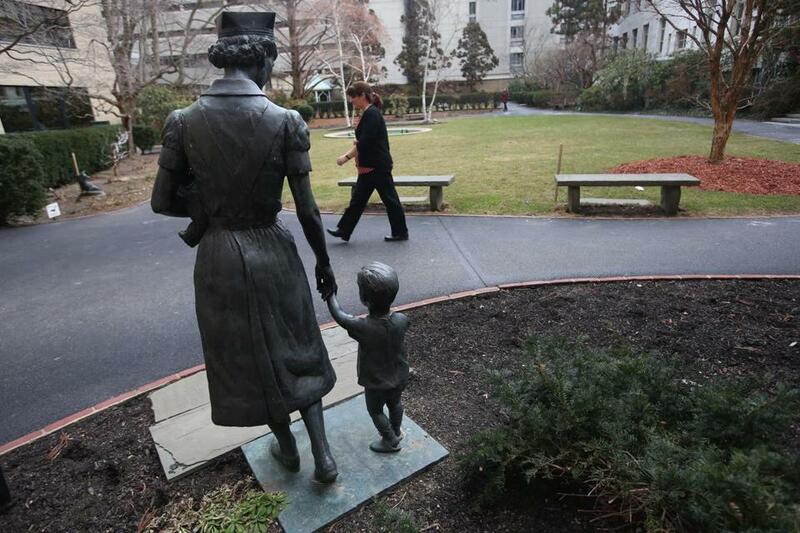 Opponents, led by the Friends of Prouty Garden, plan a Thursday State House rally as they seek to delay a final vote of authorization from the Massachusetts Public Health Council. Meanwhile, Prouty Garden backers pledge to challenge that approval in court, when and if it comes. But so far, nothing has stopped Children’s from getting what it wants, not even a warning that the plan would increase costs at what is already the state’s most expensive hospital. Dr. Stuart Altman, chairman of the Massachusetts Health Policy Commission — a watchdog agency established by statute — did his job and told the state Department of Public Health, “there is a likelihood that the expansion will lead to increased Massachusetts health care spending.” For that, Altman was chided for “overreaching,’’ in a Globe op-ed by Mike Widmer, a former chairman of the Massachusetts Taxpayers Foundation who serves on Boston Children’s Hospital’s Board Committee for Community Service. Widmer also challenged the cost projections put forward by Altman, a professor of national health policy at Brandeis, who has a PhD degree in economics from UCLA and has served in numerous advisory health care roles for different White House administrations. The DPH did take note of Altman’s warnings, however, and added some conditions to the staff approval given to the Children’s plan. Asked whether they are enough to head off the risks he outlined, Altman said, “It is totally in the hands of the Public Health Council. We made our concern about the potential for higher costs known. As far as we’re concerned, they heard us and made some supposed conditions.” He’s in backtrack mode, but that’s what happens when you stand up to Children’s, a powerful, politically connected institution that has the governor on its side. Prior to his election, Charlie Baker first supported, then opposed, another controversial hospital expansion plan — the one proposed by Partners HealthCare to take over South Shore Hospital and two Hallmark hospitals. Concerns about price and market share ultimately derailed the Partners acquisition. But Baker has no such concerns about Children’s. The need for Children’s to renovate old quarters is not in dispute. But its expansion needs are open to question. Children’s says it will fill beds from national and international referral sources. But it has been working to expand its referral network in Massachusetts. In the past 24 months, Children’s has filed numerous notices of material change about new arrangements to either acquire physicians or become the preferred provider. That suggests the hospital expects to take volume from the current marketplace. At the same time, it will drive up costs, since the hospital has also said it expects to get commercial insurance and Medicaid rate increases every year. As the Children’s plan moves forward, Massachusetts is under pressure to reduce state health care costs, with spending on Medicaid — the health program for the poor and disabled — already flagged as a trouble spot. Competitors like Tufts Medical Center and Massachusetts General Hospital — which is part of the Partners network — are also worried that a larger Children’s will dominate the pediatric hospital landscape. To add to the intrigue, Jack Connors, who was chairman of the Partners board from 1996 to 2012, is backing Children’s and essentially undercutting the concerns of MGH doctors. “If you’re successful in business, you grow,” Connors told the Globe. Ah, business. In the end, is that what this is all about? The hospital says this is about taking care of its patients. But Children’s growth plan could make their brand of care too expensive for many, as well as put more pressure on the state. The Public Health Council could approve a renovation plan that doesn’t call for expansion of inpatient or outpatient care. That prescription would take care of patients and business for Children’s and the state.